← Herion. Stop the Silence. Speak the Truth. Start the Conversation. During my sons active addiction I never gave any thought to where his pills were coming from beyond the pill mill doctors he visited once a month. I was too busy trying to save him from the addiction that would eventually take his life. I had no time to investigate the source of the poison pills that were so precious to him and prescribed so freely by his pain management practice. It wasn’t until months after his death and I was able to even function that I started wondering how this opioid epidemic started. I’d been contacted by mothers from all over the country after the news of Matts death spread over social media. 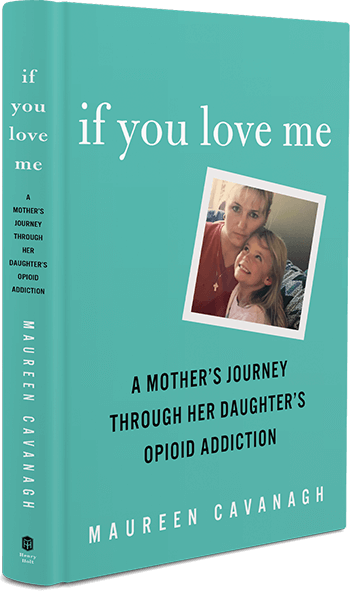 We shared the heartbreak of losing our addicts and with each story the same common thread was woven through. All became addicted and died from an opioid overdose. How could this be. How can so many people die from the same cocktail of drugs. The more moms I spoke to, the clearer it became that someone else was behind this deadly epidemic. As a nurse I was amazed at the dose and volume of pills Matt was able to obtain every month. I blamed his pill pushing doctors for his addiction. Their only solution to his back pain was drugs, drugs and more drugs. No scripts for physical therapy or acupuncture, just the combo of narcotics, Methadone and muscle relaxers. So being a medical professional and seeing how my son was turned from someone with chronic back pain post surgery to the addicted man he became I had to find out who was behind the brilliant idea of creating such a highly addictive drug and then giving physicians the false security that this drug was indeed safe for long term non terminal pain. Imagine my anger when I was introduced to the newest Member of the Forbes most rich of 2015. Raymond and Beverly Sackler owners of the Connecticut based Purdue Pharma. A company I never new existed until I started searching for answers. The more I read, the madder I became. According to an article in Forbes Magazine, (www.forbes.com/sites/alexmorrell/2015/07/01) this company made $1 billion dollars in the first few years of introducing this highly addictive drug. Their annual revenue is estimated at $3 billion dollars. I wonder how many lives were lost while the Sacklers were living a life of luxury. To make matters worse the company lied about the addictive quality of their money making drug. They mislead both the FDA and prescribing physicians leading them to believe that it was addiction proof. But as accidental overdoses and people now addicted to the drug came to light in 2007, the company pleaded guilty to federal criminal charges of mislabeling the drug. They paid $635 million in penalties but did not stop manufacturing the poison that provided them with a most lavish lifestyle. After all what’s $635 million when you’re making $14 billion. So here we are in 2015. Despite the knowledge we now have about opioid related deaths and have seen the epidemic of addiction sweep the country, nothing has changed. Physicians hide behind their white coats and continue to over prescribe highly addictive opioid drugs to a population of people that need pain control but do not need to be made into addicts. According to the American Society of Addictive Medicine, 1.9 million of Americans live with prescription opioid abuse. Close to one hundred people die everyday from overdose deaths in this country. Overdose being the leading cause of death in this country surpassing car accidents and homicide. (www.asam.org). How sad for our society that physicians and pharmaceutical companies continue to put greed in front of human lives. I look back and remember Matt. He lost everything after becoming addicted to the Sackler’s poison. He didn’t want the life his addiction forced upon him. He had no idea the drugs prescribed from his trusted physician would slowly destroy his life while making life for the owners of Purdue Pharma one of incredible wealth. Supposedly the Sacklers have a legacy of philanthropy. Noted for the gifts given to many galleries and schools including Harvard, NYU and Oxford. What a shame they didn’t build rehabs using a portion of their billions to rebuild the lives they helped destroy. This entry was posted in Uncategorized and tagged addict, addiction, Big Pharma, Heroin, Heroin Epidemic, hope, opiate, opioids, overdose, recovery, stigma, substance abuse. Bookmark the permalink.